Recently, one Canadian corporation found itself in hot water for something, seemingly, harmless – playing Christmas music. As reported on by many large media outlets, Shoppers Drug Mart received enough customer complaints on November 1st that on November 2nd, they issued a statement informing their customers that their voices were heard and that Christmas music would no longer be played in their stores until further notice. This story raised the age old question of “how soon is TOO soon for Christmas?” It’s not just Christmas music that seems to take over the minute we take off our Halloween costumes; Christmas lights start turning on, Christmas products line the stores and “SO excited for Christmas!” posts pop up on social media feeds. I started asking around about the phenomenon and got some diverse answers. Some people confessed that they love Christmas so much that they listen to carols all year long. Multiple people believe that once Remembrance Day has passed, Christmas is fair game. One person claimed that Christmas can start once the Grey Cup is over. Others generalized “mid-to-late November”. 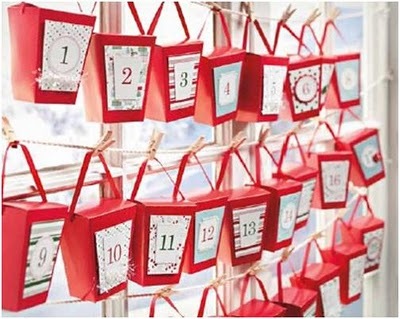 And some believe that we should wait until our advent calendars start (aka December 1st) to legitimately Deck the Halls. When do you think the Christmas season should start? I honestly think it’s a little bit ridiculous for people to get so up in arms about when people should (or shouldn’t) celebrate Christmas. To each their own! If stores want to play tunes, let them! I’m really tired of some people raining on other’s parades, just because they don’t feel “Christmasy” yet. Don’t spoil the Christmas spirit! Gift Shopping: Go all year round if you like. Music/Decorations/Outward Displays of Holiday-ness: December 1st is more than reasonable… anything before Remembrance Day is pure bad form.